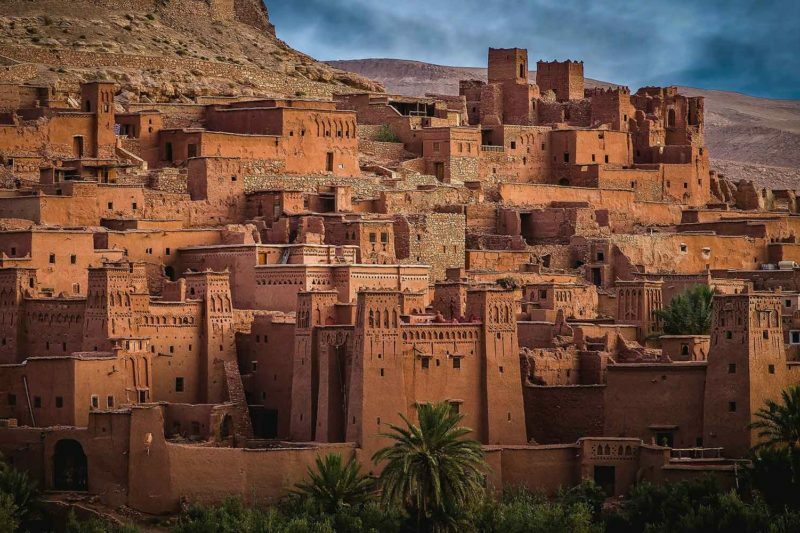 On this private guided day trip you will travel across the High Atlas Mountains to dramatic stone and mud-built fortresses known as Kasbahs and fortified villages known as Ksars. 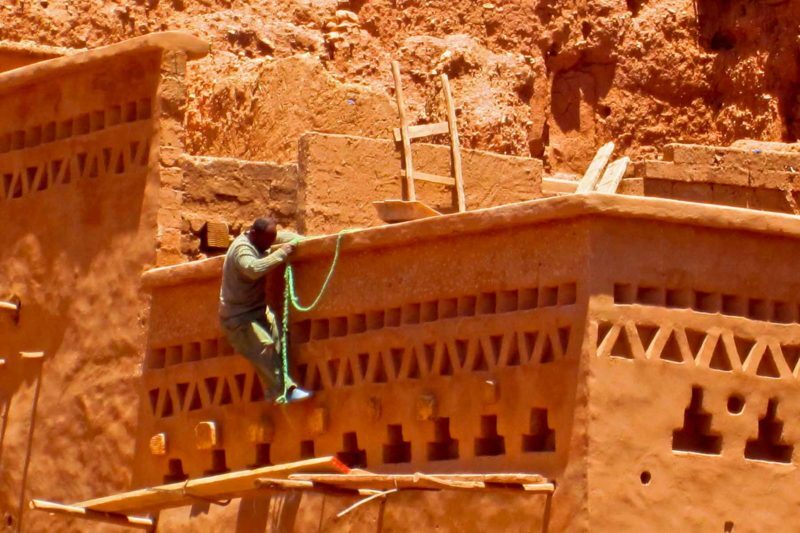 Travelling with a local guide and driver you will visit Telouet and Taourirt Kasbahs plus the UNESCO World Heritage-listed Ksar at Ait Ben Haddou. This is a remarkable land of contrasts with river-fed oasis towns, contorted ancient volcanic wilderness and flourishing valleys. 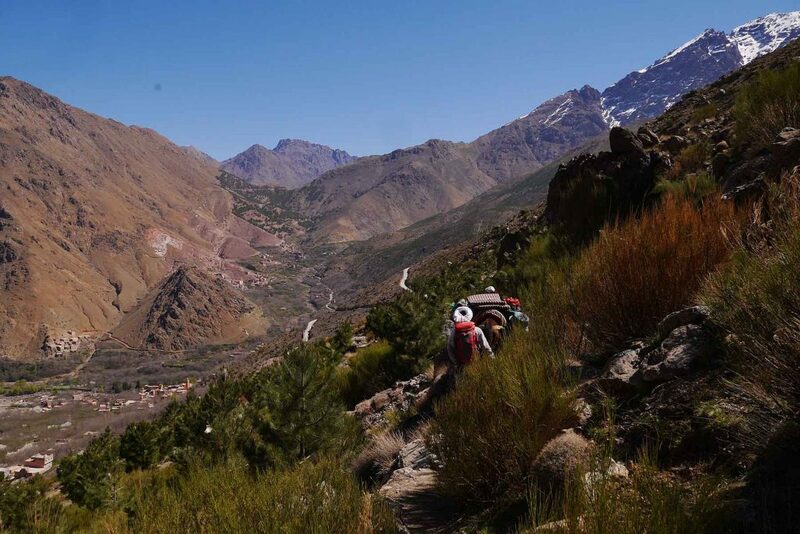 After a breathtaking drive through the High Atlas Mountains and over the Tizi n’Tichka Pass (2260 meters) our first sightseeing of the day is at Telouet. 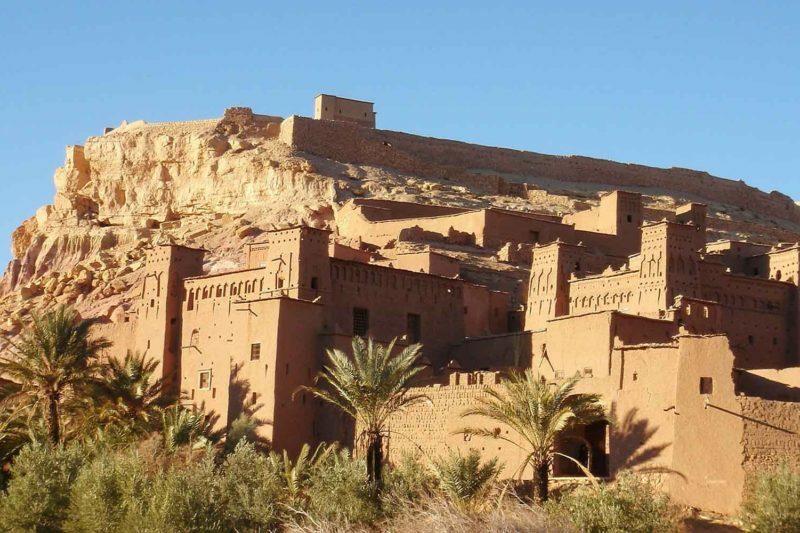 It is a village on the ‘Route of the Caravans’ from the Sahara over the Atlas Mountains to Marrakech. 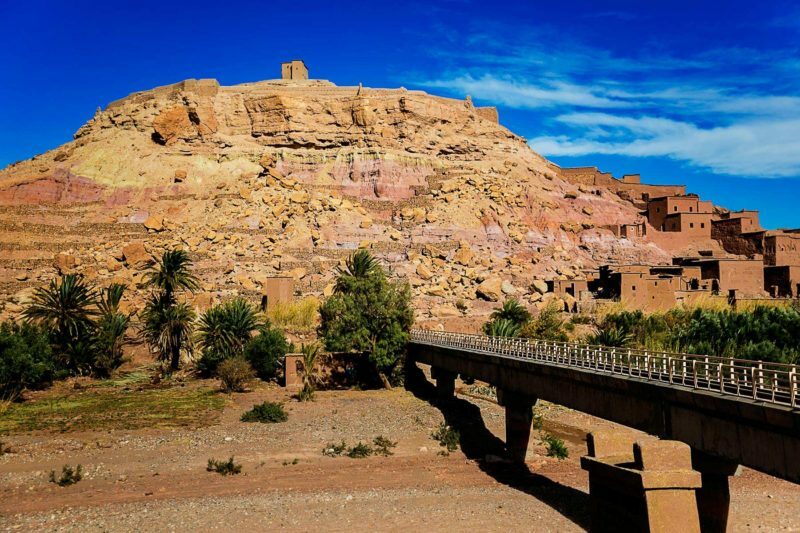 Telouet has one of the most spectacular Kasbahs in Morocco, which was once the palatial residence and headquarters of the powerful Glaoui tribe. Next, taking a little used back road we arrive at Ait Benhaddou. 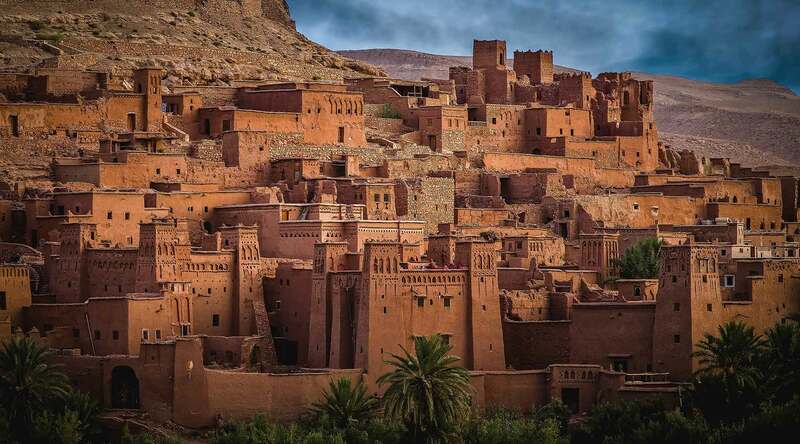 Inscribed by UNESCO in 1987 as a ‘World Heritage Site’, the Ksar of Ait Benhaddou is a striking example of the architecture of southern Morocco. 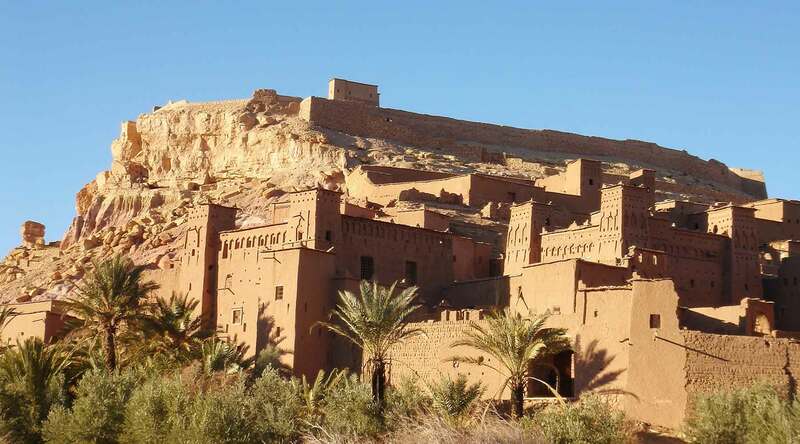 The Ksar, a group of earthen buildings surrounded by high walls, is a traditional pre-Saharan habitat. The houses crowd together within the defensive walls, which are reinforced by corner towers. After a guided tour of the ancient settlement be sure to walk up to the high point on the hill above the Ksar for particularly fine views. Your final stop is in Ouarzazate to visit Taourirt Kasbah, a former Glaoui palace and the main attraction of the desert oasis city. This 300-room fortress, in part restored, marks the junction of 3 rivers – Dadès, Draâ and Ziz – as well as numerous caravan routes. And while Glaoui chiefs – known as caïd – never resided in this opulent palace, the Glaoui kasbah of Taourirt once housed hundreds of people. 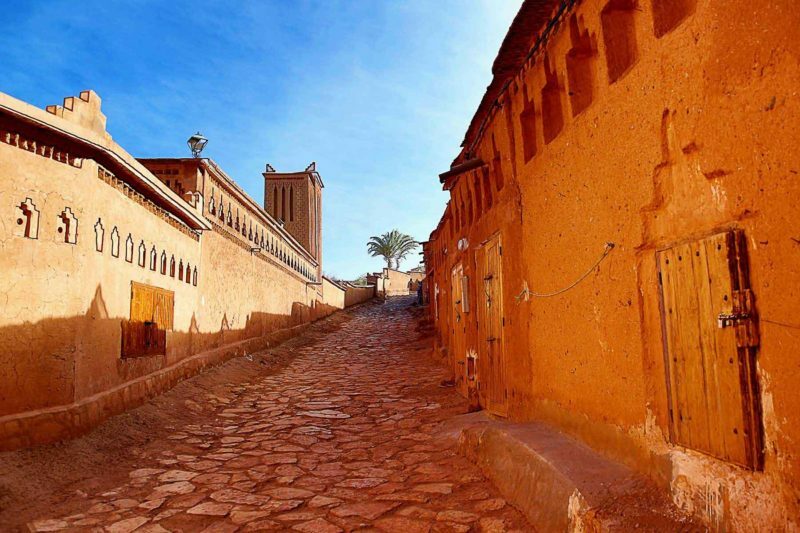 You’ll have time to tour the palace and stroll the kasbah’s irregular streets. 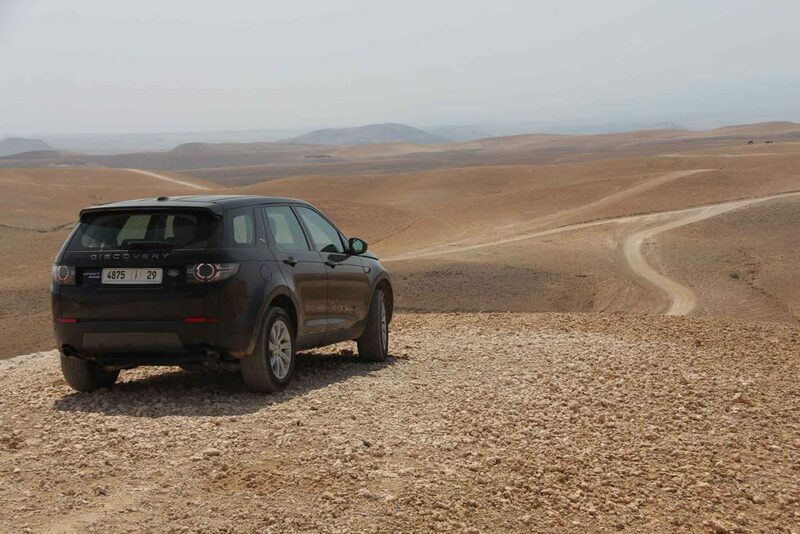 Late in the afternoon you will make the return drive to Marrakech.